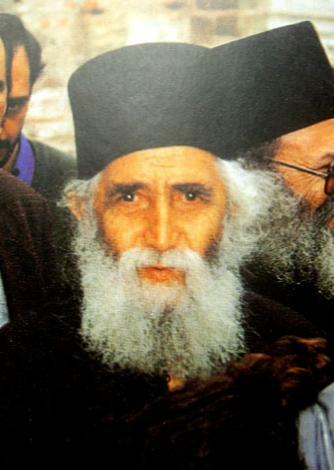 Editor's Note: St Paisios (1924–1994), a saint who lived as a monk in Mount Athos, Greece, is greatly venerated by Russians. His books are incredibly popular in Russia--maybe even more so than in Greece. And though he was well known for his asceticism, his advice is kind and simple. 1. You must take care of the purification of your soul on a daily basis. 2. You must acquire divine justice and not logic, for only then the grace of our Christ will come to you. 3. Before you do something, think if Christ wants you to; then, act accordingly. 4. You must perfectly practice obedience, so you may later talk to others about the virtue of obedience. 5. The “no” you say to people must be “no”, and the “yes” must be “yes”. Do not pretend, but say whatever you think, even if it hurts the other person; say it in a good manner, however, and also give some explanations. 6. Always pay attention to what pleases your fellow monks and not to what pleases yourself. 7. Everyday, you should read a section from the New Testament for the purification of your soul. 8. Do not look at what other people do, or examine how, and why they do it. Your own goal is the purification of your soul and the perfect submission of your mind to divine grace. Do everything for the sake of your goal; pray, study, say humbly the Jesus prayer, being aware that you absolutely need God’s mercy. In other words, pay attention to your spiritual work. This is advice we can all benefit from.